Mausam is veteran actor Pankaj Kapur’s first directorial venture. 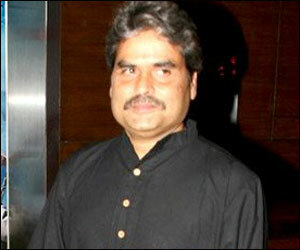 He has delivered some great work as an actor, on television as well as on cinema. And as per perception, he does appear to be a ‘thinking’ actor. As would be the wont for a serious thespian of his kind, over the years, he may have had a lot of ideas, on the kind of cinema that he’d like to make. If he got a chance..
And then he got that chance. With Mausam. And he went ahead and put all those ideas into the one and same film! Perhaps not being sure if he’d get a second chance (after seeing Mausam, I do have doubts – maybe he should just stick to acting). – Locations from small town Punjab, to Mumbai, to Scotland, to Switzerland, to Ahmedabad. All of these are not mentioned in passing, but have a place in the narrative. You’d think that packing so much into a feature film would make the film a fast paced one, right? Surprise, surprise!! With so much that Pankaj Kapur covers, he still manages to play the story in crawl mode. Ultra slow.. Yes, the story seems to not be going anywhere often. So sitting in the theatre, I check my mail on the phone, I put out some tweets, check Facebook etc., even as the story is unfolding (well, “not” unfolding in fact…!) on the screen in front of me! Some of you may want to stop here, if all you wanted was a verdict. Yes, its a clear no-no. – I love the visuals in the film. Then I look at the credits. And I am not surprised. Binod Pradhan’s an absolute master cinematographer. And he’s done a brilliant job here too. From the visuals of Punjab (the best of the lot) to Scotland and the cement pipes, the camera and the lights have worked their magic. – Small-town Punjab has been captured well. The prosperity on the one hand, the humor (the ‘musical chairs’ scene is funny), the global connections, the characters like the taangewala, the youth and their options in life, the girl besotted by the handsome neighbor, etc. capture the early 1990s’ Punjab well. We also discover how Atlas Cycles and others have built their fortunes! – It is also interesting to understand how, in this modern world, in a single lifetime, a person could go through so much. Aayat (Sonam Kapoor) is born and brought up in her early years, in Srinagar. She gets uprooted from there and sent to small town Punjab, for a while. From there to Mumbai, then to Scotland, back to small town Punjab, then again to Scotland, to the US, and then, to Ahmedabad. And by this time, she’s still about 25-26 or so. Wonder what else she has coming up, in her life. While this does not happen to everyone, it is not something that is unbelievable either. This is the kind of world that we live in. Amazing, isn’t it? The kind of extreme swings that life can give, and how one has to keep adopting today.. very interesting! – I guess it takes an experienced and successful Aditya Chopra or a Raju Hirani to follow their gut, and stay close to the conviction that they have, about their narrative. All other filmmakers are subject to tremendous insecurity and fear of failure, due to which reason, they include ‘elements’ that are not really connected to the story, but which have commercial appeal. Is that the reason for introducing Scotland / Switzerland in Mausam, for example? Could those locations equally have been Mumbai or Bangalore, otherwise? Why not? But a) the visual appeal of those locations, and b) the Scottish and Swiss Tourism Boards bankrolling some dollars in return for the “product placement” would have found attraction. The dance item a the end of the movie also, had no relevance, but added to appeal to the Shahid fans. You never saw such gimmicks in good films of yore, and directors narrated their stories, and that was it! – I am sure girls swoon for Shahid, and he looks good, and uniforms do create a special appeal. However, other than some smart dancing (I rank Shahid only next to Hrithik in terms of dancing abilities, on Indian screen today) and cute smiles, there is nothing great about his acting here. There are scenes where he literally acts poor and in others, he is average. Perhaps his father, the director, has also not given him any special histrionics, which could have been a distinct possibility, given that he was the central character, and on screen, perhaps for more than 80% of the time! Rakesh Roshan drew out much better juice from his son’s talent pool, than Pankaj manages to do here. – Sonam Kapoor has to look pretty, hum a few “haanji / naji” kind of dialogs, giggle a bit, etc. She does all of that. Along with the Kashmiri carpets and the Atlas cycles, she’s part of the furniture on the sets! Her height actually makes her look ungainly in many scenes. Dressed in the typical loose fitting Punjabi salwar kameez, as a student earlier, and and also in the last scene, as a married mother, she looks very funny. I think they have purposely not taken too many side-by-side standing scenes of Sonam and Shahid. Else she’d come out looking taller than him. She does give a perception of being taller, which Shahid obviously has a small frame. Not a great pair, in that sense..
1. Amol Palekar did a terrible job as director of Paheli. Pankaj Kapur falls in the same trap now, with Mausam. Great actors, who when they have got their opportunity to direct a mainstream Hindi cinema with a largish budget, lose their original sensibilities of film making, and go overboard, trying to pack too many things. Also depend a lot on the main sellable actor (Shah Rukh in Paheli, and Shahid here). And end up making a dud. 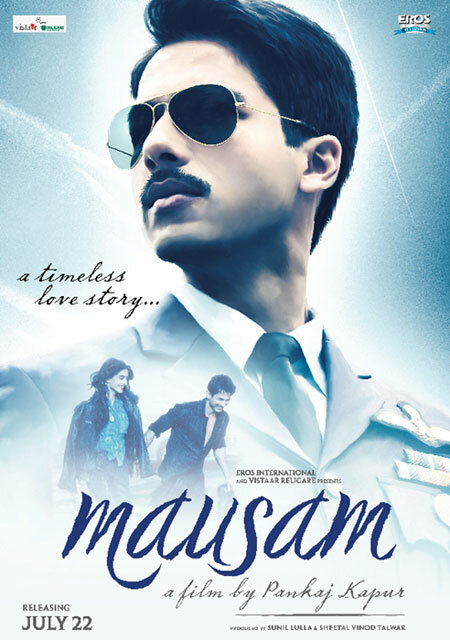 Mausam is a box office cropper. Pankaj will have a tough time finding backers for a second venture. 2. Shahid Kapoor is capable of more and has shown us too. He needs to put more into his work, and choose scripts that suit him better. His overall frame does not make him a convincing senior Air Force officer, no matter he thrown in a moustache there. Walking around inspecting the aircraft makes him look like a mechanic of the aircraft rather than an ace pilot! 3. Sonam Kapoor. Well, she’s fine. She’s not a fantastic actress, so she’s good to be in the glam face on screen kind of roles, make some money, have a good life. Yeah, she’s fine!! It hurt more as the cinema had raised the ticket prices to 270/-. Was not worth the money. Hope the mausam changes and we get better cinema in coming weeks.. ! !